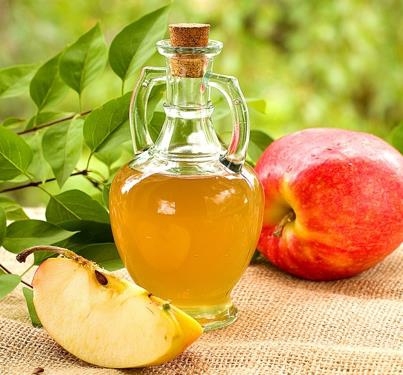 Apple cider vinegar is the most popular type of vinegar used for many household purposes. Apple cider vinegar has many scientifically proven benefits to help maintaining natural health and overcome many health problems. Common benefits include weight loss, lower blood sugar levels and cure for diabetes. There are 3 calories in one table spoon of apple cider vinegar that are considerably low. Like other types of vinegar, this vinegar is also used as food preservative. How to make apple cider vinegar?? Making apple cider vinegar is not much difficult. Just search online for how to make apple cider vinegar and you will have so many methods. You can make your own vinegar at home. Just follow some simple tips and your vinegar will be ready. The biggest investment is time as it takes almost 2-3 months to get ready. Three ingredients are required that are water, sugar and ten Apples. One quarter size large mouth jar, a piece of cheese cloth to cover, a rubber band. Although there no rule for type or size of apple but here are some tips to get good taste vinegar. · Apples may not be flawless but should be free from spoilage. If there is any spoilage please cut that before making apple cider as it can cause the juice ferment sooner than expected and can spoil the whole cider. · Cider made with mixing different varieties of apple like sweet, tart and aromatic gives best results. 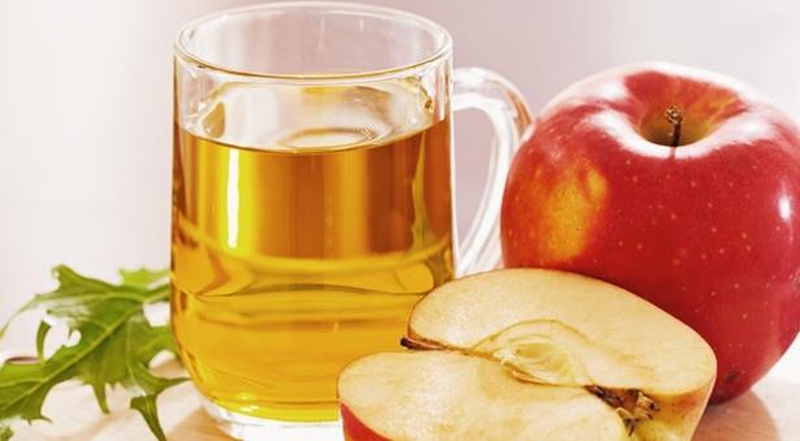 · You can pick organic apple to make a truly organic apple cider vinegar. · You can even use the scraps (peel and centre) of apples (at least 10 apples) after making a pie. · Wash the apples and cut into small pieces but less than one inch. · Put these apples in a plate until they gets brown. · Now put these pieces in the jar. Peel and centre can be included. Make sure that apples fill the jar to 2/3 rd. · Add clean water until jar is filled 2, 3 inches below mouth. Water should completely cover the apples. · Now cover the mouth of jar with cheese cloth and tie it with rubber band. You can use any other piece of cloth that let the cider breath and save it from bees and other things. · Leave this on any counter for one week. You can mix it gently once a day but it's optional. · Observe the apples inside the jar. If after one week the apples don't float and completely sink to bottom than apple cider is ready. · Strain the apple cider and throw away the pieces of apple. Now you have your apple cider ready. Now making Vinegar is just as easy as making apple cider. It is just a matter of time. For making apple cider vinegar put this apple cider in the clean jar. Cover it again with cheese cloth tied with a rubber band. Better to keep the jar in warm place for another 4-6 weeks. The alcohol in this apple cider will transform into acetic acid. Taste you apple cider after 6 weeks. If you feel its right taste then strain it one more time and keep it in a Mason jar or jug. If you want to keep it for little more time then tie the cloth again and let it be according to your required taste. You can use apple juice instead of using apple cider. Apple juice will take longer to convert into vinegar as compare to apple cider. Juice should be taken from fresh large quantity of apples. Better to have organically grown apples. Use a variety of apples for getting a good taste. It may takes longer than expected for apple cider to turn into vinegar. You should start tasting after few days. As the process depends totally upon nature so every batch may take different time to reach on same taste. Taste is the only parameter to know that cider is ready. When you will taste it two or three times a week you will know the difference happening in taste. In start it will taste like a carbonated drink. Then it will start tasting like alcoholic and after some days it will get the sourness of vinegar. If you are well aware of how an apple cider vinegar tastes then there will be no problem to know the time when it is ready. How to store your vinegar is as important to know as how to make apple cider vinegar. 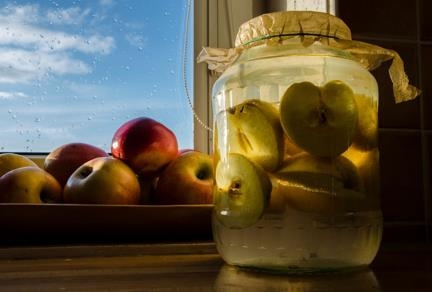 There are two methods to store your home made vinegar. One is to store it as it is in refrigerator in a mason jar. Second is to pasteurize it. To pasteurize heat the vinegar to 140 degree F and less than 160 degree F. Cool it and store at room temperature. You can add a flavor to your vinegar by adding a flavor into it. You can choose any flavor of your choice like onion, mint, raspberries etc. You can also add it while making apple cider but better to include at the end. If you want to know the cost for any reason then you can calculate the price for apples (unless you are using the left-over), price of Jars, and cheese cloth. If you can't wait for long time and want to speed up the whole process than you can add 1 1/2 tbsp of unpasteurized apple cider vinegar for every two cups of water. Add it when you add sugar in water. It will speed up the process. Raw vinegar doesn't go bad if kept in good container in the refrigerator. If Mother comes again on the surface strain it again. Pasteurized vinegar can stay in room temperature also and can be used for longer times. You can use honey instead of sugar if available. You can even avoid using any sweetener but the time will go up for further 6 weeks. If the vinegar gets moldy then throw it out and try again. Read about How to make apple cider vinegar and follow the directions carefully. Always check the taste of vinegar with clean and dry spoon. Don't worry about Mother that might be floating on the surface. It is harmless and has healing properties. Homemade vinegar is mild so better to avoid it using for food preservation. It is used as edible or beauty care. Server responsed at: 04/23/2019 8:25 p.m.